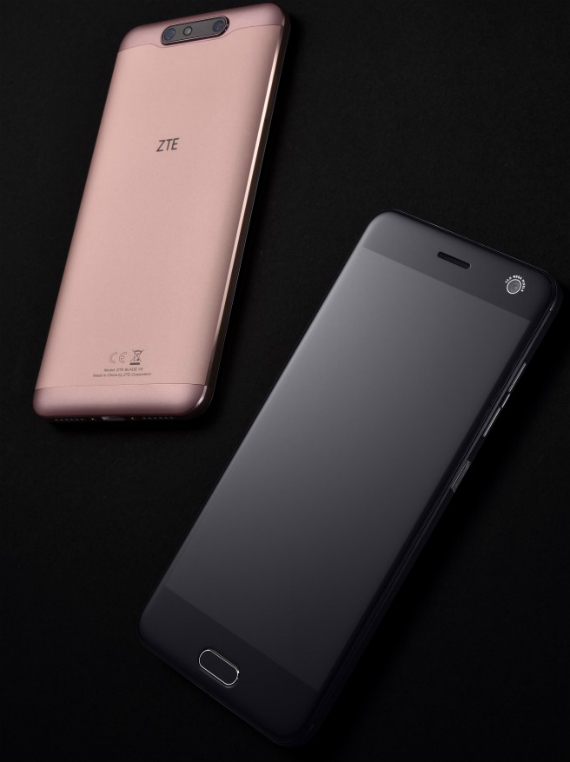 Under the CES 2017, the ZTE officially announced the ZTE Blade V8 Pro, which does not come alone. There is the ZTE Blade V8, a base model with dual camera on the back but completely different design than the Pro version. It is quite elegant with metal structure and 2.5D glass on the front side. The purpose of ZTE is to attract young people bringing 13 Megapixel full-featured camera with autofocus and a second camera 2 Megapixel fixed-focus. The second camera provides depth information and spatial information for some very interesting effects including 3D shooting and bokeh effects. The ZTE Blade V8 incorporates screen 5.2 inch FullHD LCD, has dimensions of 48.4 × 71.5 × 7.7 mm. Through time octa-core Snapdragon 435 processor, manufactured in 14nm as the Snapdragon 625 in ZTE V8 Pro. Available with 2GB RAM memory capacity of 16GB, RAM memory capacity of 3GB and 32GB. Other features have fingerprint sensor, FM radio, 2730mAh battery. Runs Android 7 Nougat with Mifavor 4.2 UI. The availability of the ZTE Blade V8 will start from February to China and Japan. March will follow Germany, Spain, China. The price has not been announced.